Konverzace o snech je zajímavá a podnětná v každém jazyce. Ne jinak tomu je i v angličtině. Naučte se 41 anglických frází, které vám pomohou bavit o vašich snech. 1. Do you usually remember your dreams? Why or why not? Describe some of them. 2. What was your nicest dream that you can remember? 3. Talk about the most recent dream you can remember that you have had in the past. 4. Talk about a recurring dream that you have had in the past. 5. How do you interpret a dream? Do you use your intuition/imagination to understand it? 6. Do you usually read books on dream interpretation? What is your opinion on it? 7. Do you generally have pleasant dreams or nightmares? 8. Have you ever had nightmares? What were they like? 9. What's the worst nightmare you've ever had? 11. Have you ever had or heard of a dream that foretold the future? 12. Did you know that Abraham Lincoln supposedly foresaw his own assassination in a dream? What do you think about it? 13. Have you ever dreamed about dead people? Is it a good signal? Why/Why not? 14. Have you ever dreamt about dead friends or relatives? How was it? How did you feel? 15. There is a movie called "The Cell" with Jenifer Lopez - It is about dreams - Have you ever watched this film? Would you like to see it? Why/Why not? 16. Are dream messages sent from our unconscious, predictions of the future, or the brain's way of cleaning out information? 17. Some people say that dreaming about losing money means that you will receive it. Have you ever heard this? 18. 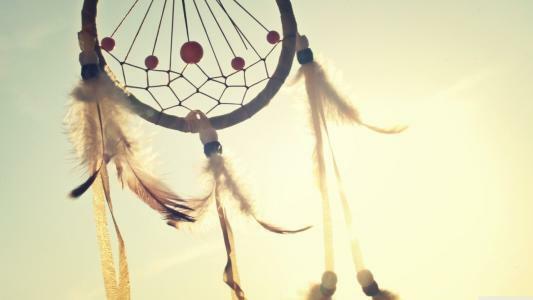 What other sayings about dreams do you know? 19. Do your dreams ever affect your moods? Explain. 20. Do you usually dream in black and white or in color? 21. What language do you dream in? Have you ever dreamt in a language that you don't speak? 22. Have you ever woken up from a dream "in a cold sweat"? 23. Do you believe that dreams can sometimes predict the future? 24. Has anyone told you if you have walked or talked in your sleep? 25. Here is a list of dream images. What might they represent? (a road, the sky, snow, a garden, an open door, a light, sand, fire, falling, darkness, being chased ,speaking with a, dead relative, flying). 26. When you were a child, what was your dream for the future? Has it changed? 27. Do you remember what you dream about in your sleep? 28. What is your dream for the future? 29. Have your dreams for your future changed? 30. Do you tell people about your dreams? 31. Do you think you can achieve your dreams? 32. If you had lots of money what would you do with it? 33. Do you think that having a lot of money can make you happy? 34. Do you think that having dreams and aspirations is a waste of time? 35. Do you believe in deja vu? 36. What is a daydream? 37. What is the difference between our daydreams and our dreams at night? 38. Are some kinds of thoughts and dreams similar? 39. What's the difference between our everyday life and dreaming while we are sleeping? 40. Do you agree with the idea that "Life is like a dream"? 41. Do you agree with the idea that "Life is like a dream"? 41 konverzačních frází o snech v anglickém jazyce. Naučte se anglické fráze související se sny. Pobavit se o svých snech v angličtině není nic těžkého.